The FinTech Asia 100 list of this year’s top 100 fintech movers and shakers were revealed in front of a live audience last night at the Aura Sky Lounge, at the National Gallery. It was also the opening networking event of the Singapore FinTech Festival. The FinTech Asia 100 is compiled by Next Money, in partnership with EY and supported by Visa. This 2016 list includes some familiar names of the regional fintech scene, and additional new players, such as Jun-Seong Han, CFIO (Chief Future Innovation Officer) Hana Financial Group (Korea) and Cindy Chow, Executive Director Alibaba Entrepreneurs Fund (China), who have earned their way into this coveted top 100. Some interesting statistics to note from the FinTech Asia 100 are that 26% of this year’s selection are female and out of the 100 fintech leaders, 38 are entrepreneurs, 41 are CEOs and 15 different markets are represented, which is up from 13 last year. India has the most members on the list, with 18 individuals and Singapore, Hong Kong and China are tied with 15 individuals each on the list. The FinTech Asia 100 individuals were selected by the following nine judges that represent a thorough cross-section of the fintech community throughout the region. 1. A proven track record of positive impact on the fintech sector, be it through investment, exit, market share, shift or growth, in their respective market. 2. A clear position of leadership in the fintech community and influence through their business, and/or social and media channels. 3. A clear vision of the future through their work and commentary that builds a better future for the finance industry by challenging the status quo or extrapolating and pushing current financial business models toward the future. “The FinTech Asia 100 is an important strategic initiative for EY. While fintech has gained ground only in recent years, adoption rates are growing fast in Asia. The EY FinTech Adoption Index indicated that adoption of fintech could double among digitally active consumers within the next 12 months, with markets such as Hong Kong, Singapore and Australia being most active. 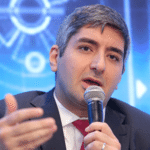 Henri Arslanian is the Head of Corporate Development and Strategic Partnerships at A Privacy, an award winning data security FinTech firm, where he leads the corporate development efforts of the firm. 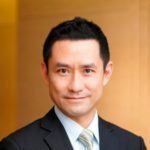 He is also an Adjunct Associate Professor at Hong Kong University where he teaches graduate courses on Entrepreneurship in Finance as well as the first FinTech course in Asia. 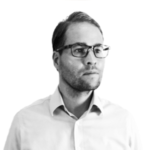 Janos Barberis is a Millennial in FinTech who is recognised as a top-35 global FinTech leader. He founded FinTech HK, a thought leadership platform, and the SuperCharger – a FinTech Accelerator that strategically leverages on Hong Kong as a gateway to Asia. 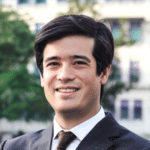 In parallel, he sits on the advisory board of the World Economic Forum’s FinTech Committee and is a PhD Candidate at Hong Kong University Law School. 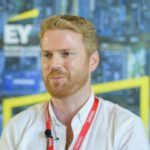 James Lloyd is a part of the EY Asia-Pacific Financial Services Organization (FSO), a fully dedicated and integrated entity with a unique approach focused exclusively on servicing the needs of EY’s clients in the financial services industry. Based in Hong Kong, James Lloyd will be responsible for advising EY clients on how best to identify and harness the opportunities presented by the application of new and emerging technologies to product and service delivery in the financial services industry. 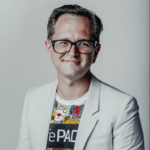 Previously, James worked with start-ups and fintechs across Asia and Europe and also with traditional financial institutions to transform their processes in order to better serve small businesses. Antony Lewis is positioned at R3 as the Director of the firm’s Lab & Research Centre in Singapore. Earlier he was formerly the director for business development in Asia at Singaporean bitcoin exchange itBit that recently rebranded itself under the Paxos brand. A bitcoin enthusiast, Lewis quit his job at Swiss bank Credit Suisse in 2013, before spending two years at the bitcoin exchange. 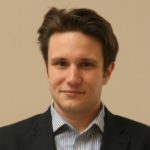 In 2015, Lewis left itBit to become an independent blockchain researcher and consultant, before assuming his new role as director at R3’s research lab in Singapore. Mikaal is the Co-Founder & CEO of 8 Securities, a private social network and trading service for investors. 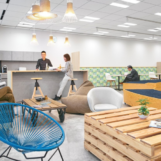 8 Securities has offices in Hong Kong and Tokyo, holds US$750M in customer assets and has raised over US$20M in venture capital. 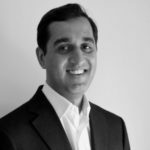 Prior to starting 8 Securities, Mikaal was a Senior Vice President and the Head of Asia at E*TRADE. Mr. Simon Loong co-founded WeLab Holdings Limited in 2013 and serves as its Chief Executive Officer. He spent over 15 years in the banking sector. He has held a variety of senior positions at both Citibank and Standard Chartered Bank. He served as Standard Chartered’s Regional Head of Northeast Asia, where he managed the personal loan and credit card businesses, transforming it into one of the largest and most profitable businesses of its kind in Greater China. Adrianna works on the intersection of tech, content and social. From founding and growing tech startups in Southeast Asia to starting and running non-profits in India, she believes strongly that technology and social good can and should go together. 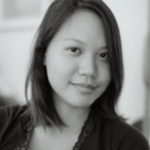 In 2014, she founded Wobe, an innovative take on financial services for the low income segment of Southeast Asia. 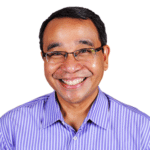 Mr. Mikko Perez serves as Chief Executive Officer of Ayannah Information Solutions, Inc.. He serves as the Chief Financial Officer of Chikka Holdings Ltd. He is the successful entrepreneur and Investment Manager with extensive experience in start-up & technology-driven ventures Investment Banker, JPMorgan H&Q (formerly Hambrecht &Quist) Investment Manager, Next Century Partners Founding Chief Executive Officer, The Stellar Foods Group (one of the Philippines’ leading seafood companies) BS Management, Honors (with distinction) and AB Development Studies (with Award for Excellence), Ateneo de Manila University. He holds MBA from Harvard Business School. 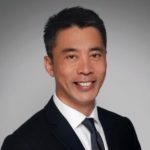 Mr. Ericson Chan is the Regional Chief Information Officer, Greater China and North Asia of Standard Chartered Bank and the Non-Executive Director of Scope International China. Ericson started his career in the U.S. before joining Standard Chartered Bank in 1998. 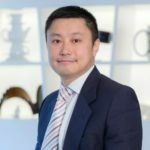 He held various executive positions in Hong Kong, Singapore and Shanghai, including Global Head of Consumer Banking Technology and Group CIO for Sales and Service Channels. Ericson is an advocate on Fintech development and on environmental protection. 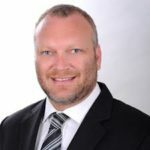 Mr. Neal Cross has been Managing Director and Chief Innovation Officer of Technology & Operations Team at DBS Bank Ltd. since April 2014. Previously, Mr. Cross served as Vice President of MasterCard Labs in its Asia/Pacific, Middle East and Africa regions. Prior to joining MasterCard, he served as the financial services industry director for Microsoft in Asia, providing banking and financial services expertise to strategic partners and enterprise customers in the region. 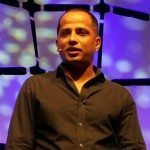 Sopnendu Mohanty is the Chief Financial Technology (Fintech) Officer of Monetary Authority of Singapore (MAS). He is responsible for creating development strategies and regulatory policies around technology innovation to “better manage risks, enhance efficiency and strengthen competitiveness in the financial sector”. 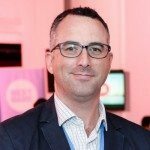 Steve Monaghan is Regional Director, Head of Edge AIA accountable for AIA’s group innovation agenda, a Limited Partner and on the investment committee in True Global Ventures focused on Fintech, a board member of Proximiti and a private investor in AI, Life Sciences, HealthTech and Fintech. 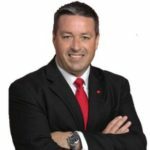 Originally a commercial pilot, he has held a number of senior corporate and banking roles in product, marketing, operations and general management. 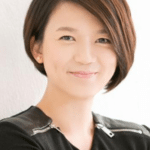 Ms. Gina Heng is the Co-Founder of Marvelstone and serves as its Chief Executive Officer. Ms. Heng oversees all of Marvelstone’s portfolio companies and subsidiaries, which include its affiliate accelerator, called 10K. She serves as the Head of Business Development at Yozma Group Asia at The Yozma Group. Vladislav (Slava) Solodkiy founded Life.SREDA VC, a fintech-only fund, 3 years ago. Life.SREDA’s first fund was focused on A-round startups from US and EU (Simple, Moven, Fidor, Anthemis, SumUp, Rocketbank, LifePay, etc.) while Life.SREDA II is focusing on B-round startups from Asia (Fastacash, Mobikon, Lenddo, Ayannah, SoftPay, etc.). Life.SREDA has also been a sponsor of Finovate and Money2020 conferences for 2 years, and Slava helps to author the well-known annual fintech-research report: “Money of the future” (2013, 2014, 2015, 2016 in Feb’16). Gerben Visser calls himself a technopreneur! His company, The Singapore FinTech Consortium is a financial technology incubation platform for clients in the region A FinTech Incubator with a Digital FinTech Platform enabling our partners to source and engage with prospective partners, investors, organisations and stakeholders to find solutions to implement and promote best FinTech innovation practices, tools and initiatives in an efficient, cost-effective and scalable manner. 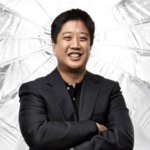 Mr. James Kim, also known as Jimmy Kim is Co-founder & Partner at SparkLabs Global Ventures. He is also a Co-founder & Partner at SparkLabs, a startup accelerator in Korea. He is Co-founder and President of N3N, an interactive software company that mixes passion, creativity and technology to create new interactive user experiences and innovative presentation solutions. You’ll meet many of these leaders at the 2017 FinTech Finals Conference in Hong Kong, on January 18-19. Get 20% off when registering with code “FINTECHNEWSSG20” Book your tickets today!